This house sits on a beautiful lot close to 1/2 acre Both bathrooms have showers need some tile work, beautiful hardwood floors throughout. Two bedrooms, 2 baths, 2nd bedroom has private entrance from outside. Great guest area. Close to Punta Rassa boat ramp, barrier islands, beaches and shopping. 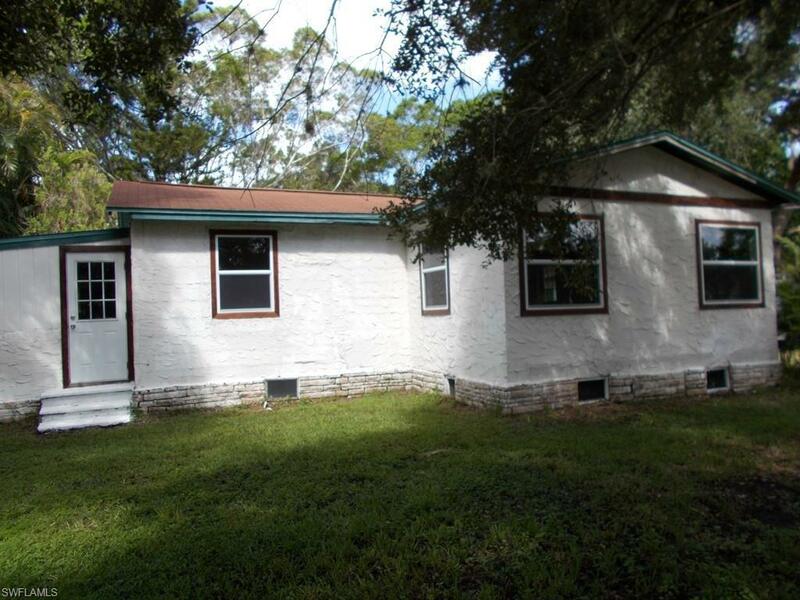 House built in 50's with Florida Pine, says owner, stuccoed overed, crawl space underneath...Large.detatched garage. Listing courtesy of Bette H. Bollinger of Coldwell Banker Preferred Prop.